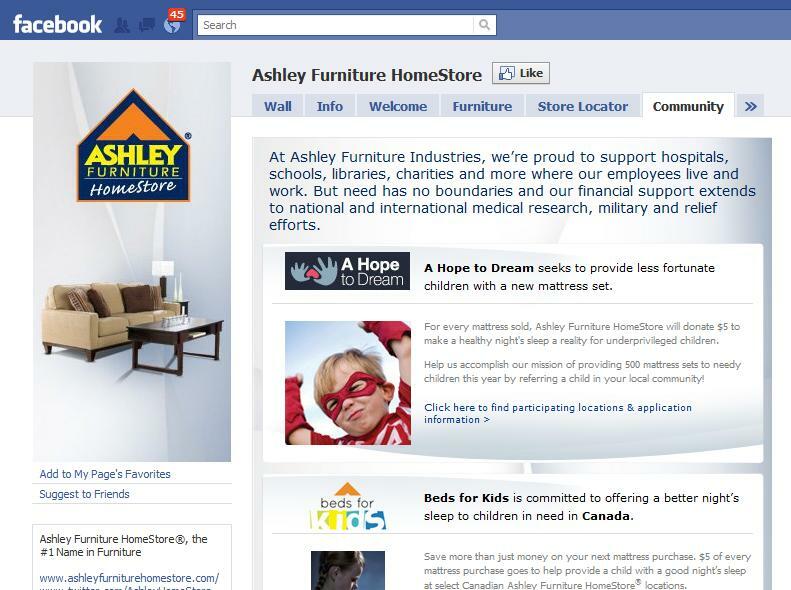 ARCADIA, WI -- Ashley Furniture HomeStore is taking its community outreach efforts to the next level, leveraging its newly created social media pages to build connections to the communities it serves and beyond. "Since the launch of our Facebook and Twitter pages in late July, our fan base has skyrocketed to nearly 5,000 â and we're growing each and every day," says Ben Thorud, Senior Vice President. "Our new social media sites are yet another avenue for us to build and support our philanthropic efforts, while getting members of our local communities involved, as well." Ashley's latest accomplishment was raising thousands of dollars for the City of Hope , a cutting-edge research and treatment facility for cancer, diabetes and other life-threatening diseases, after donating $0.50 for every Facebook fan it accrued during the initial launch of its Facebook page. To date, Ashley Furniture Industries, along with Ashley suppliers and retail partners, has raised more than $4 million for the City of Hope , whose scientific discoveries and promising clinical trials work to advance new and better ways to improve the lives of people in the U.S. and throughout the world. Also gaining momentum with the launch of its Facebook and Twitter pages is Ashley's A Hope to Dream program, which seeks to provide less fortunate children with comfortable mattresses for a good night's sleep. For every mattress purchased at participating locations, $5 will be donated to provide beds to local children in need. "With more than a quarter-billion active users logging on to Facebook on any given day, we'd be remiss not to try and capture some of that for the communities and people we serve," says Thorud. "We believe that this will allow us to better promote the continued growth, development and enrichment of our communities." Ashley Furniture HomeStore, a top furniture retailer in the United States, delivers quality, affordable furniture to customers at more than 400 independently owned and operated locations in the United States, Canada, Mexico, Puerto Rico and Japan. 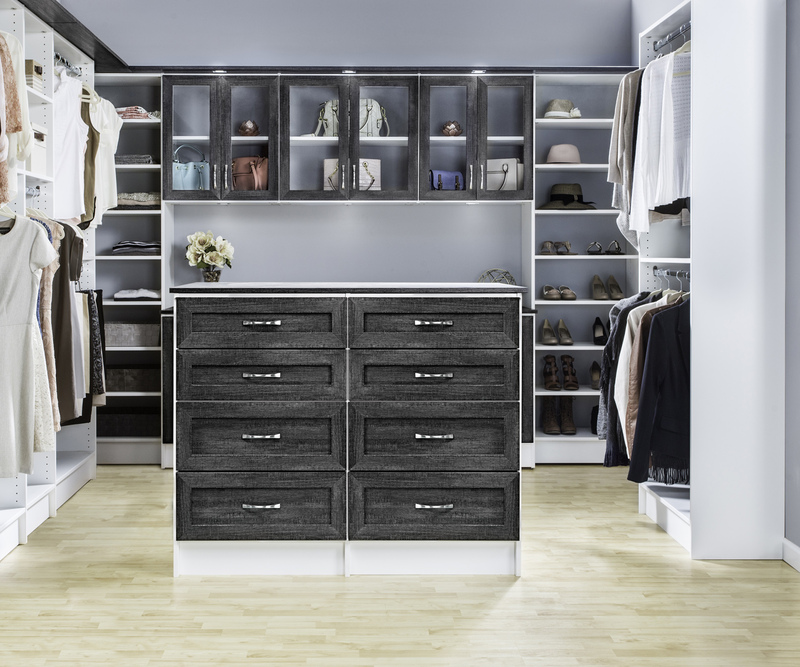 Ashley Furniture HomeStore is an exclusive provider of furniture from Ashley Furniture Industries, Inc., the largest furniture manufacturer in the United States.